I pulled the covers down from the pillows on my bed and casually looked at the time. 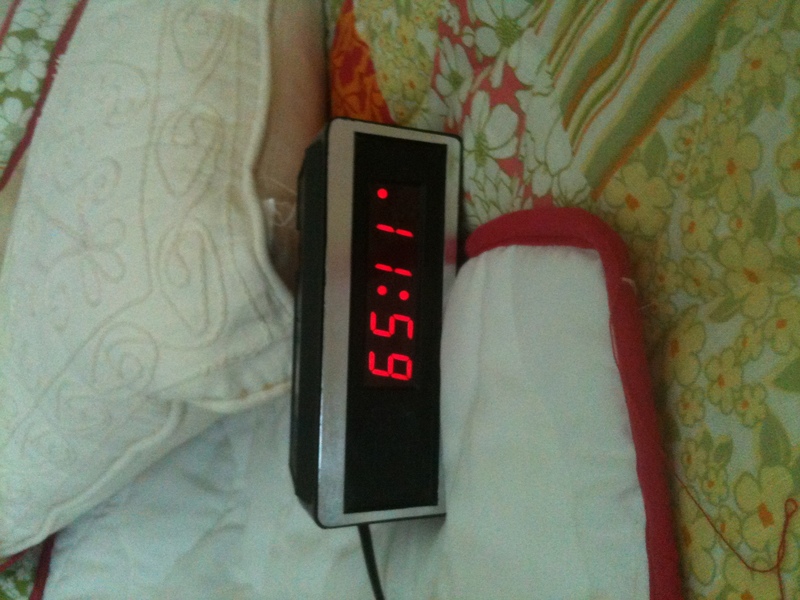 The digital clock on the table beside my bed read 65:11. I wasn’t surprised that the time was wrong. Those of us who live in Central Florida call our electric company “Florida Flicker and Flash.” Its continual time-outs to save energy are famously annoying. My old and reliable clock automatically goes to 12:00 whenever there is an outage. However, the 65:11 time was a bit of a shock. I picked up the clock to reset the time and realized that it had been turned upside down. The settings were right. It was the entire clock that had somehow been repositioned incorrecly. It was actually 11:59. Turned in the upright position, no settings had to be changed. I wasn’t sure whether to laugh or cry. My errant clock was like a replica of my feelings. This past week, I’ve felt as though my entire life was running in upside-down time. Because my husband died in May, I know that this a big part of the grief process. But that knowledge doesn’t seem to help with my lack of orientation. Perhaps for the first time since becoming a part of the mentally challenged community, I’m fully grasping the grief that parents and adults who are intellectually disabled feel. I’m so thankful that my husband is no longer in pain. I know he is in heaven. I’m secure that he would never want to come back. I’m even looking forward to the adventures that await me. However, because unexpected problems have also raised their ugly heads, I feel paralyzed by my life right now. I MUST press forward and finish the tasks required but my body doesn’t seem to want to respond. My feet won’t move. My mind won’t operate because it’s in tilt position. This must be what many parents and people within our community feel much of the time. There is such joy within our community; but I’ve known there are also resilient apprehension and even despair. I’ve been surrounded by it and seen the evidence. When a member is moved by the State to another location against their will, I’ve felt it. When funding is cut, I understood the circumstances. But until now, I’ve not been enveloped with an upside-knowledge that time isn’t on my side. Upside-down time is disorienting and can cause concerns and depression. However, I praise God that this is a temporary condition, not a permanent state of affairs. God never intends for us to stay in upside-down time for long. He wants to turn our lives upright and teach us the values of living godly lives that are pointed toward His will and His ways.